Coming in at no. 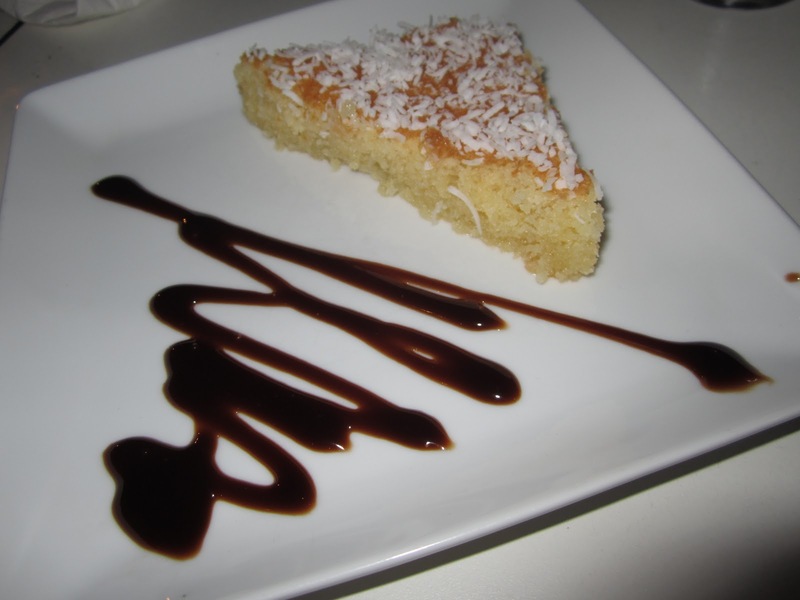 8 on the Urban Spoon-ometer, we had high hopes for the Little Greek Taverna in West End, Brisbane. Not unsurprising for West End eateries, we arrived to find the Little Greek Taverna bustling with full tables both inside and out (you must reserve ahead). Even though our reservation had us out near the road, it was quiet and relaxed – continental dining at its’ best. Our dining experience commenced with an assortment of dips accompanied by pita bread. The roasted eggplant dip was a taste sensation and was enjoyed by even those without a penchant for eggplant. Whilst I was a little wary of the spicy feta cheese and pepper dip, any concerns were soon replaced with pure joy as the creamy delight danced on the palette, leaving you wanting more. Thankfully, a sign of things to come. Both individual and shared meals are available (mostly around $15-$20). We opted for the best of both worlds, ordering our own meals and a couple of sides to share. 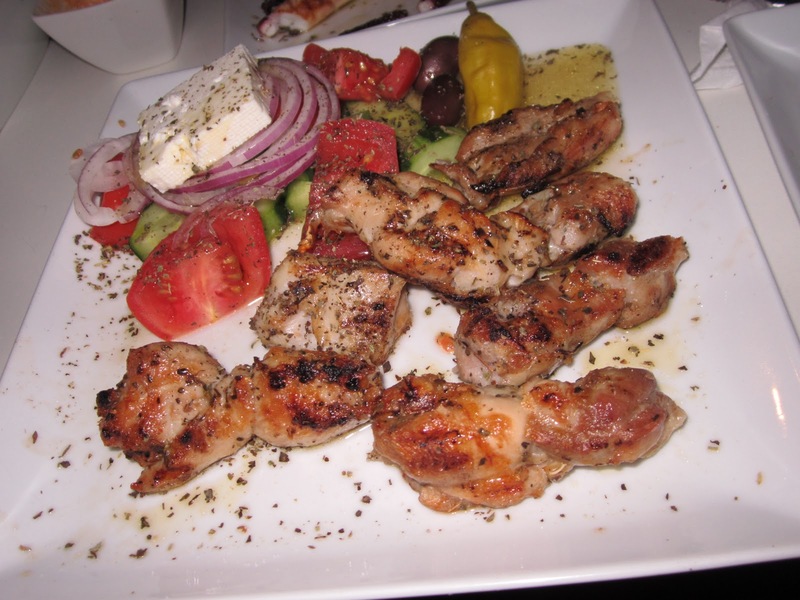 Chicken Souvlaki (with salad) – moist and juicy chicken with flavour-bombs of oregano and lemon. 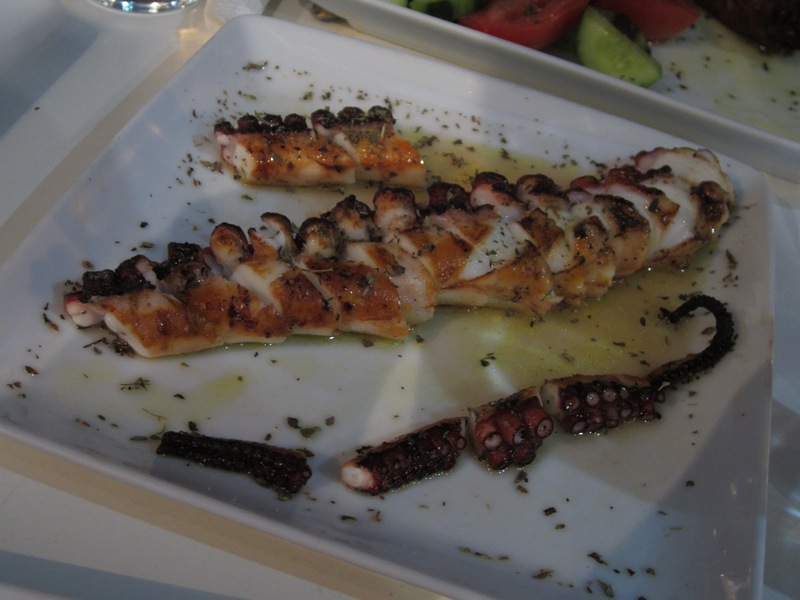 Grilled Octopus – a real treat for seafood aficionados, cooked to perfection with a subtle charred flavour. 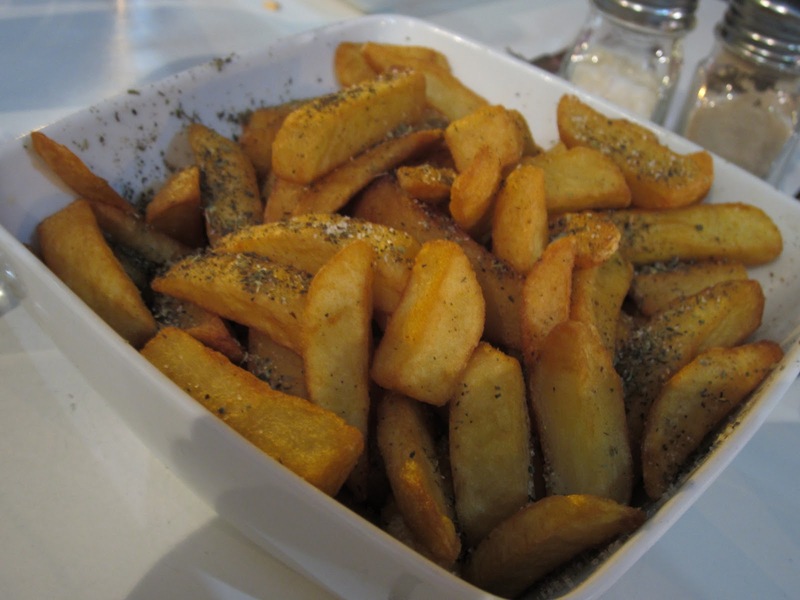 Chips – a staple in any Greek diet, what’s not to like? 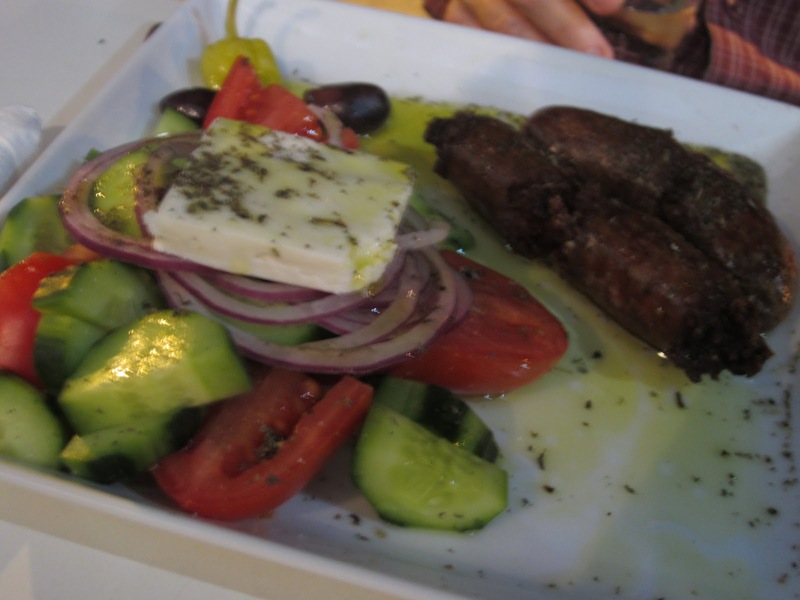 Served with the mains, the greek salad could stand alone in many a cafe or restaurant. The quality, taste and consistency of the feta were perfect for this type of salad and the balance of flavours were ‘just right’. 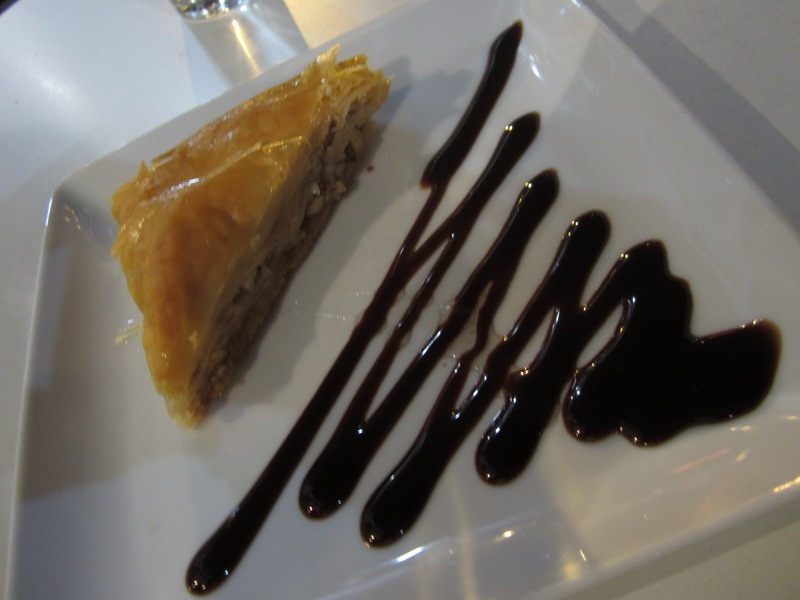 We finished the evening with baklava, revani (baked cake in sweet citrus syrup) and Greek coffee – not the best we’ve had but still a pleasant end to the meal. 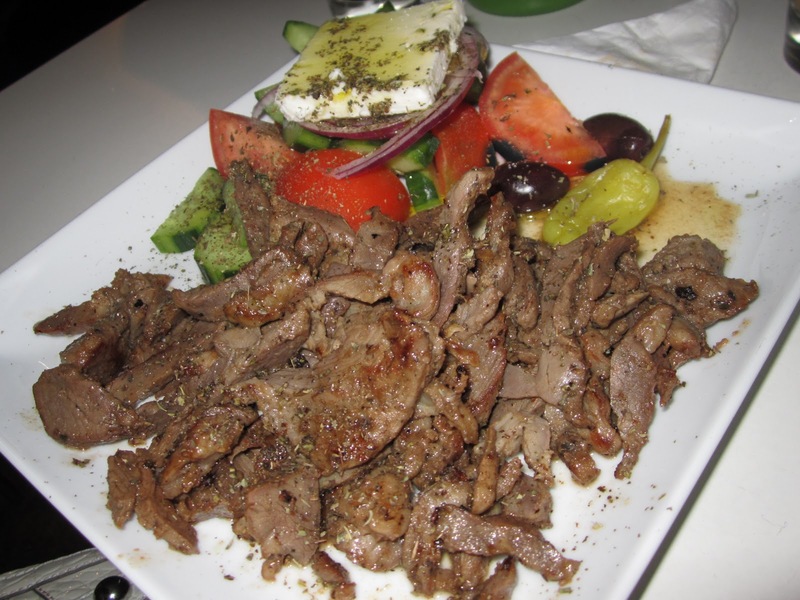 All in all, Little Greek Taverna has won our hearts and it is with much salivation and anticipation that we plan our next trip. 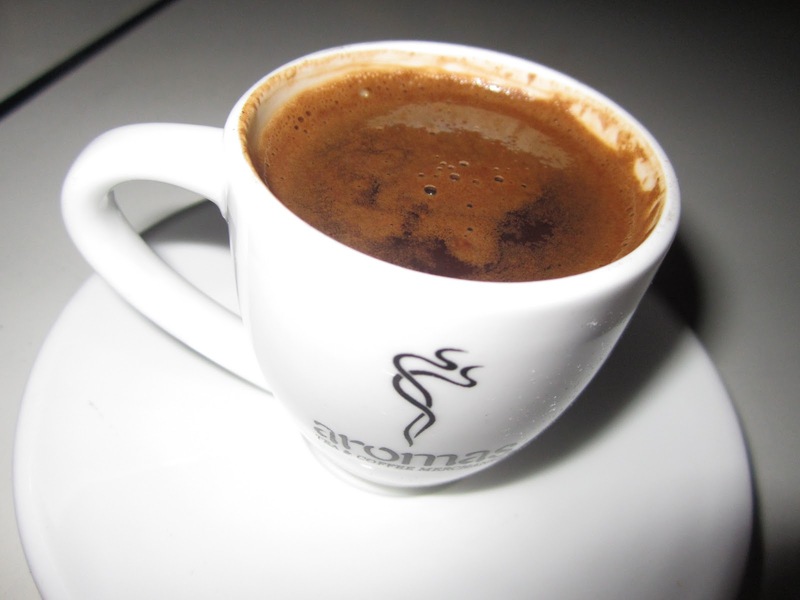 We recommend you do the same.